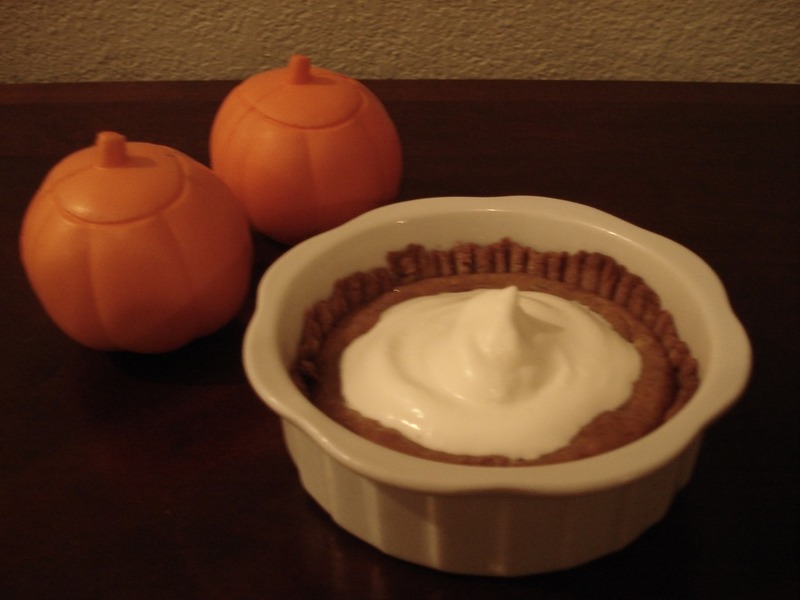 The Perfect Pumpkin Pie | Can't Believe It's Allergy Free! Its Thanksgiving time—time for vacations, family get togethers, the aroma of turkey in the oven and yummy pumpkin pies. The same filling can be used by the whole family. I make a small allergy free crust, but make a much larger quantity of pie filling to use in wheat pie crusts for the rest of the gang as well. Place flour and sugar in a large bowl. My flour mix has salt added into it, so generally recipes with my flour don’t require more salt. You can just add a pinch if you like. Cut butter into small pieces and work it into the flour with your hands, so that the mixture resembles fine breadcrumbs. Use just enough water to be able to form a ball of dough. Add vanilla while kneading. Alternately, combine ingredients in food processor, and pulse till pea size clumps form Add water through the feed tube and pulse, stopping just before dough comes together completely. Line rolling surface with plastic wrap. Transfer dough to rolling surface. Press and flatten dough and place another sheet of plastic wrap over it. Roll dough into an 8” round, to create enough crust for the sides of the small pie dish. Remove the plastic wrap from top of rolled dough, then trim uneven edges with a knife or cut off with a pair of scissors. Gently lift rolled out dough, place it on the palm of your hand and transfer it onto the pie dish. It is easy to patch up any small tears. Crimp edges with a fork to create a pattern, and prick the base with a fork to prevent a rise while baking. Place prepared crust in oven and bake ‘blind’ (without filling for 10 minutes. Whisk all ingredients together till mixed thoroughly. Remove crust from oven after it has baked for 10 minutes. Prebaking prevents the crust from getting soggy later. Pour filling mixture into lightly baked crust. Return to oven and bake for a further 20-25 minutes till filling has cooked and looks set. Let the pie cool. Serve with a dollop of whipped cream or ice cream.